Nominations are open for the AANP National Leadership Awards. The Towers Pinnacle Award is presented annually to an individual who, through policy, practice or education, has made outstanding contributions that resulted in increased national recognition for NPs and has increased opportunities for NPs to provide care to patients. The Sharp Cutting Edge Award honors an individual who has shown leadership through innovative services, technologies or advocacy activities that advanced NP practice and patient care on a national level. Both of these awards are for achievements that have impacted the NP profession nationally and/or internationally. The deadline for submission is March 11, 2019. The Wyoming Council for Advanced Practice Nurses (WCAPN) membership elected Wesley Davis, DNP, ENP-C, FNP-C, AGACNP-BC, an emergency nurse practitioner at Crook County Medical Services District and assistant professor at the University of South Alabama as president-elect of the WCAPN Board of Directors. Dr. Davis will assume the presidency on October 5, 2019, leading the statewide membership organization whose strategic focus is to promote advanced practice nursing in the state of Wyoming. Dr. Davis developed the Emergency Nurse Practitioner specialty program at the University of South Alabama. As a distance faculty member, he now serves as the Emergency Nurse Practitioner specialty coordinator for the University. 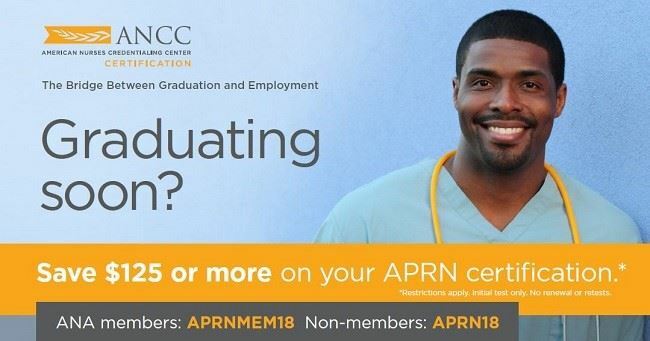 In addition to directing the emergency nurse practitioner specialty, he teaches the residency courses for candidates working toward the Doctor of Nursing Practice degree. Dr. Davis also currently serves as the Wyoming State Representative for the American Academy of Emergency Nurse Practitioners. Dr. Davis holds a doctorate in nursing practice and master’s degree in advanced practice nursing from the University of South Alabama School of Nursing. He earned his bachelor’s degree from Chamberlain College of Nursing. He is triple board-certified as an Emergency Nurse Practitioner, a Family Nurse Practitioner, and an Adult-Gerontology Acute Care Nurse Practitioner. 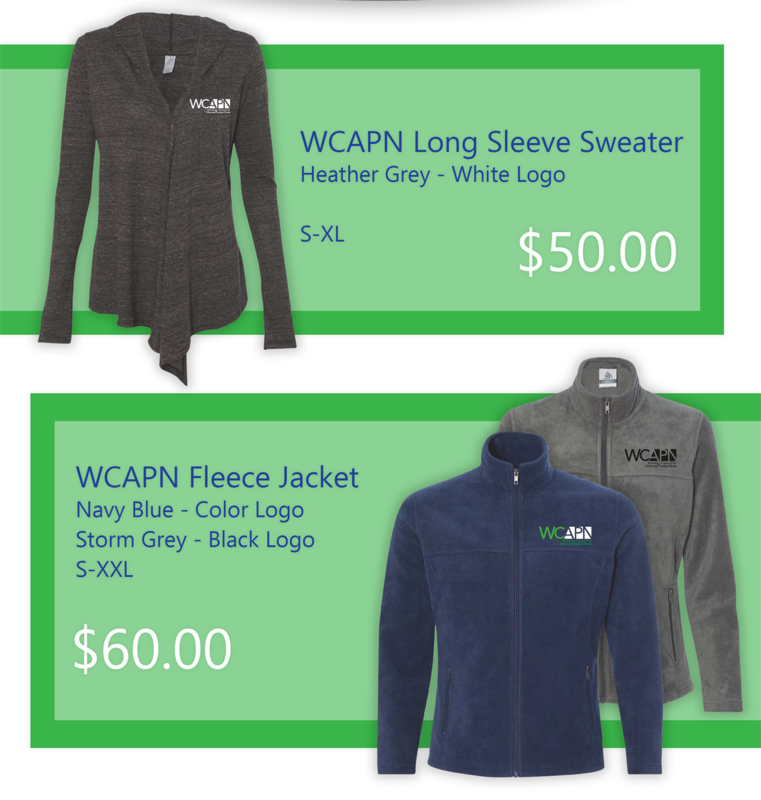 The WCAPN membership also elected Amy Gruwell, FNP-C, to serve a two-year term as secretary, Brandon Bennion, DNP, F. VP-BC, to serve a two-year term as director at large, and Angelia D. Lomu, MSN, FNP-C, to serve a two-year term as director at large. 2018 AANP Conference- Congratulations to award winners! With over 5000 Nurse Practitioners (NPs) in attendance, it was empowering and somewhat overwhelming to be surrounded by so many NPs in one location. Keynote speaker was Rear Admiral Susan Orsega of the U.S. Public Health Service, who discussed NPs contribution to the culture of practice in the U.S. health care system. The 6 days were packed with over 300 sessions offering continuing education and 40 skill workshops and running each day from early morning well into the evening. This year included new Rapid Fire Presentations which were 20 minute short bursts of high quality information. Utilizing the AANP mobile app was a great way to track individual schedules, find maps of the Convention Center, receive messages and complete session evaluations immediately after completion of sessions. The app also allowed attendees to keep a running total of CEs with a breakout of pharmacology hours. WCAPN board member Alicia LePard MSN, MBA, APRN, ACNP-BC, ENP-C, FNP-BC, GNP-BC, FAANP was inducted as a new Fellow of AANP, the only new fellow from the state of Wyoming. Alicia joins an elite group of NPs, including Mary Behrens, MSN, FNP-BC, FAANP; Dr. Mary Burman, PhD, FAANP; Dr. Ann Marie Hart, PhD, FNP-BC, FAANP; and Dr. Maria Kidner DNP, FNP-BC, FAANP our Wyoming AANP Representative. Application for fellowship in AANP is a rigorous, and reserved for high achievers in the profession. Congratulations Alicia! With the State Award of Excellence, AANP also recognizes an NP in each state who demonstrates excellence in clinical practice as well as an NP Advocate who has made a significant contribution towards increased awareness and acceptance of NPs. This year they chose to celebrate Wyoming NP clinician Mary Cox, MSN, PMHNP-BC, FNP-BC, GNP-BC and NP Advocate Mary Behrens, MSN, FNP-BC, FAANP. Congratulations ladies! 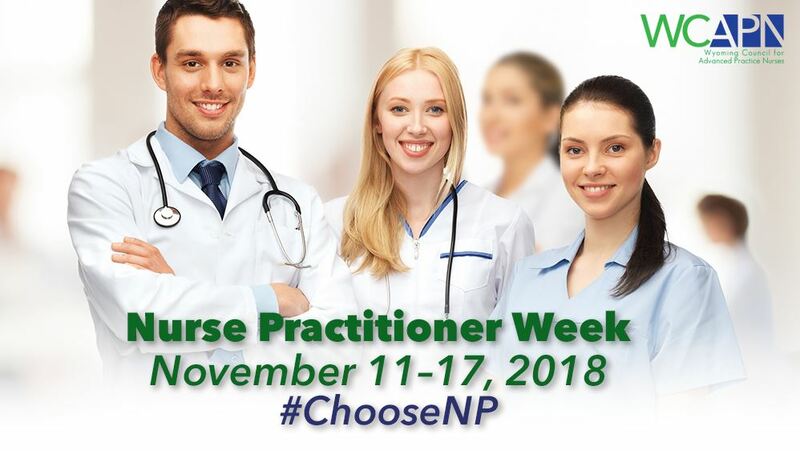 AANP also unveiled a new public awareness campaign, “We Choose NPs”. Watch for these ads on national TV feeds and on radios in key markets. These spots highlight the NP role in Primary care and the importance of patient choice in their health care provider. Upcoming AANP conferences include: Health Policy, February 3 rd through 5 th 2019 at the Hyatt Regency in Washington D.C., and the 2019 National Conference held June 18 ththrough the 23 rd at the Indiana Convention Center in Indianapolis, IN. New!! 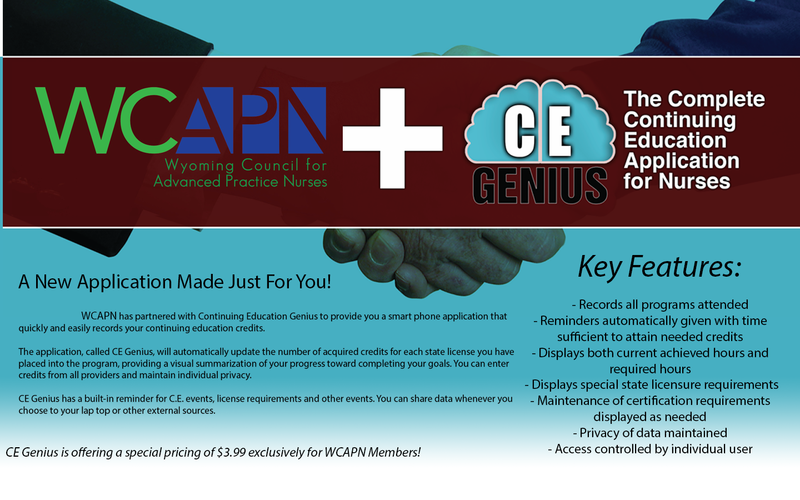 Smartphone app made specially for WCAPN Members!